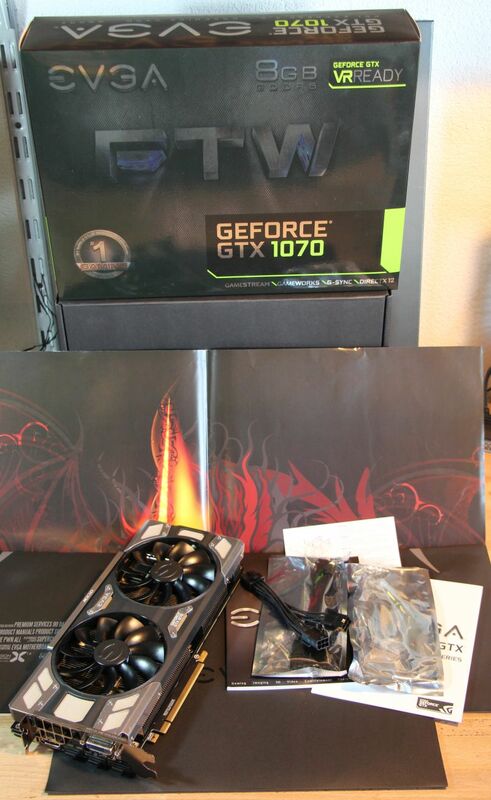 Before torturing the GTX 1070 FTW, here is a gallery of the graphics card. 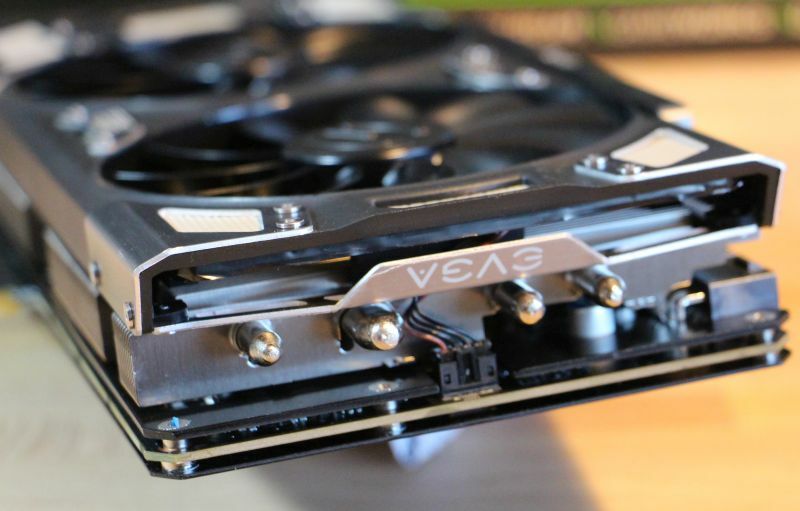 The EVGA GTX 1070 FTW is equipped with the third version of the ACX VGA cooler. 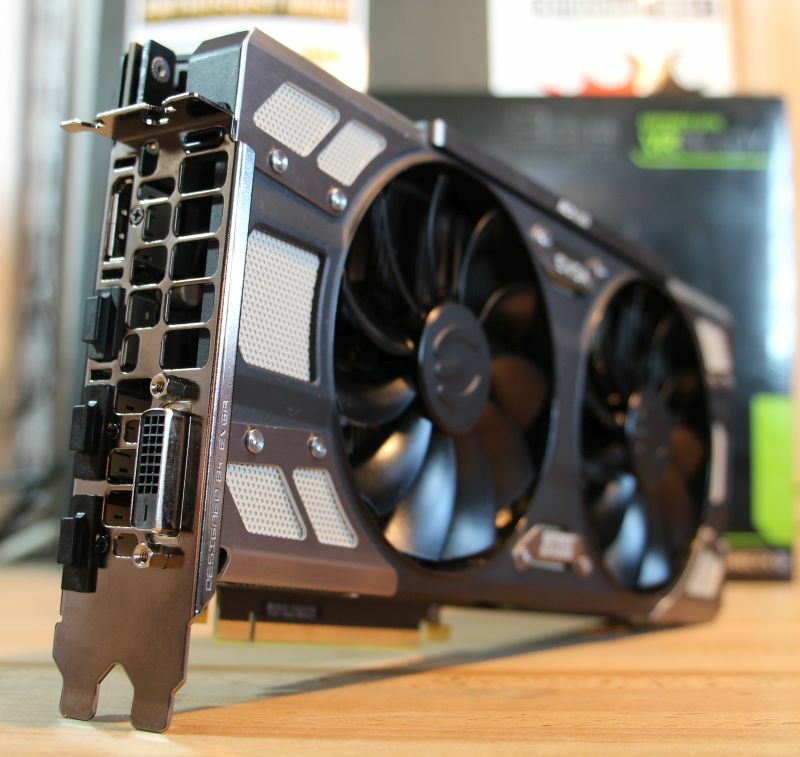 The GTX 1070 FTW with ACX3.0 is a really nice piece of hardware. The card is heavy because of the ACX3.0 cooling system that includes a big heatsink + a memory/MOSFET cooling plate + a backplate. The PCB is literally protected by to black metallic shields. This graphics card gives you a serious feeling of robustness. The VGA cooler features two 100mm fans and like many other GTX 1070/1080, this GTX 1070 comes with the 0dB fan technology. You can also customize the RGB lighting via EVGA Precision X OC. 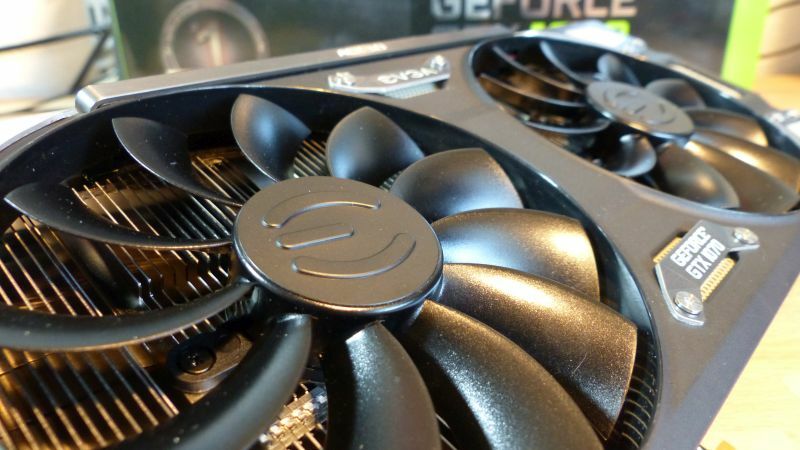 While a sticker is enough for some graphics cards makers, this is not acceptable for EVGA: the logo is etched on the fans. 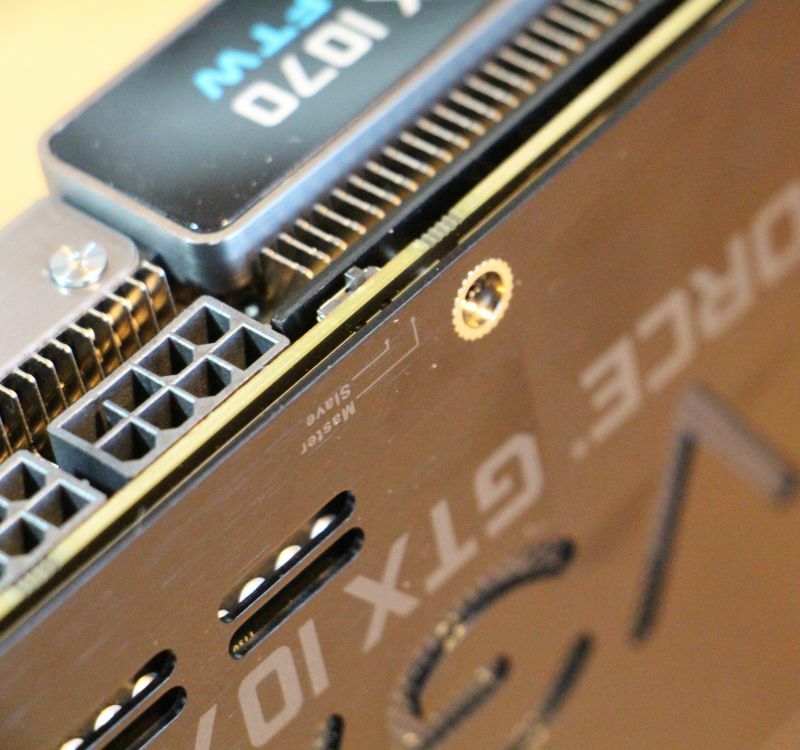 The GTX 1070 FTW requires two additional power connectors, allowing thus a max power draw of 375W for the board. 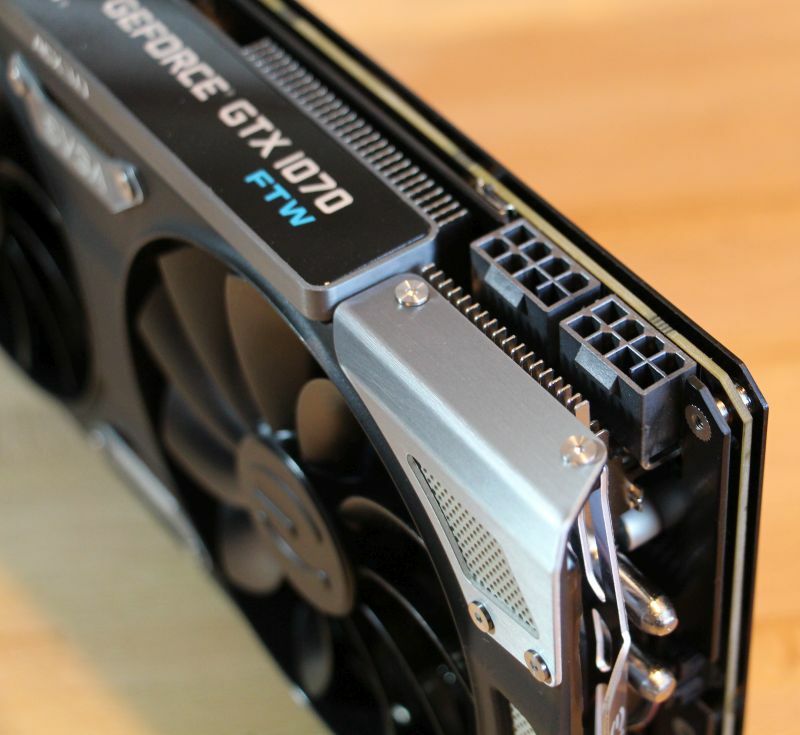 The reference GTX 1070 has a TDP of 150W. The VGA cooler shroud is made up of plastic and aluminium parts. The updated version of the GTX 1070 FTW comes with thermal pads on the VRMs. These thermal pads provide a better heat dissipation via the memory/MOSFET cooling plate and a backplate. Before any burn-in test session, I try to set the power target to the max value. 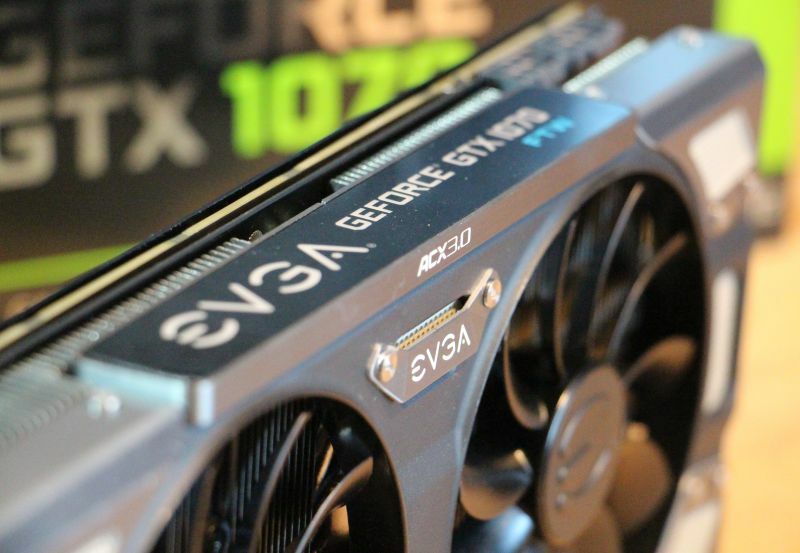 The EVGA GTX 1070 FTW is a dual-BIOS card. The first BIOS (master BIOS) allows the power target to vary from +50%TDP to +112%TDP. The second BIOS (slave BIOS) unlocks more power draw with a max power target of +122%TDP. At idle, the total power consumption of the testbed is 43W while the GPU temperature is 32°C. The room temperature is 21°C. 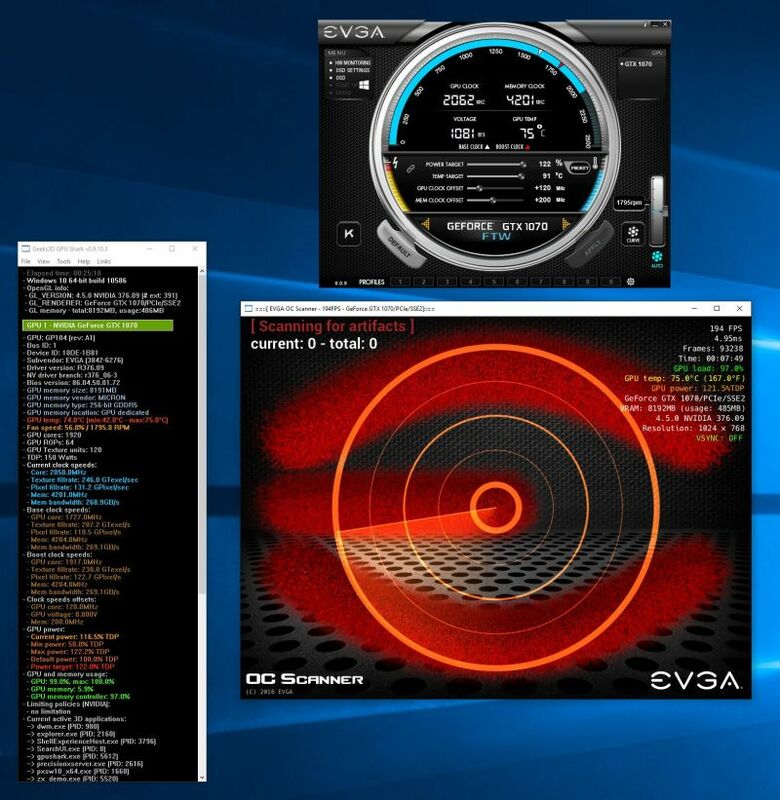 To overclock the GPU core + GPU memory and stress test the GTX 1070 FTW, I used EVGA’s Precision X OC + OC Scanner. 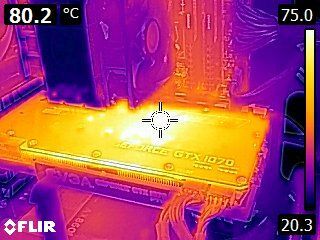 With the master BIOS and a power target limited to +112%TDP, the GPU temperature reached a max value of 72°C for a total power consumption of 300W. where 20W is the additional CPU power draw when running the stress test and 0.9 is the PSU efficiency factor. 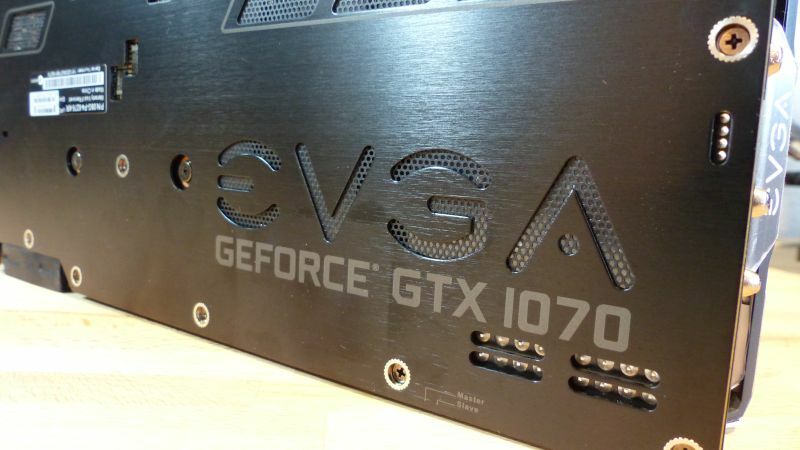 EVGA gives a TDP of 215W for the GTX 1070 FTW. 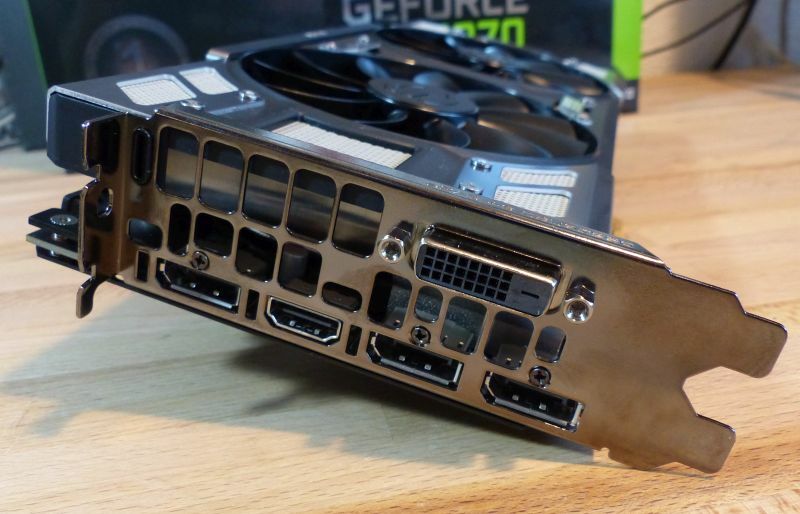 This sample of the new GTX 1070 FTW with updated VBIOS (versions 86.04.50.00.72 and 86.04.50.01.72) and thermal pads on the VRMs has no overheating issues. FurMark and all its siblings are known to put a max stress on the VRMs. This GTX 1070 FTW handled all torture tests without problem while keeping a correct GPU temperature. 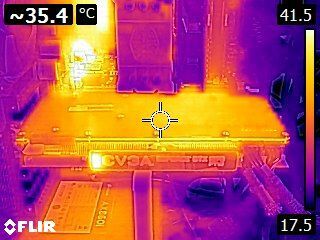 With overclocking settings, the max GPU temperature reached 75°C while the temperature on the backplate was around 80°C in the VRMs zone. I also tested the card with 3DMark benchmarks and stress tests: no problem. What’s more, the graphics card was very quiet on load and fully noiseless at idle state. 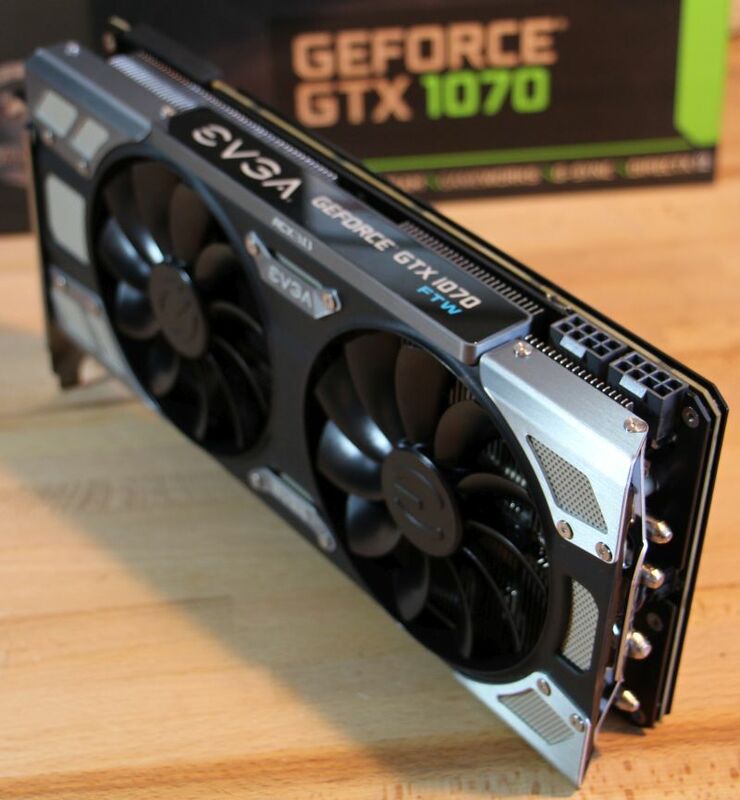 This EVGA GTX 1070 FTW is a very nice and solid product and if you had some doubts related to recent overheating issues, you can now forget them, all issues have been fixed. 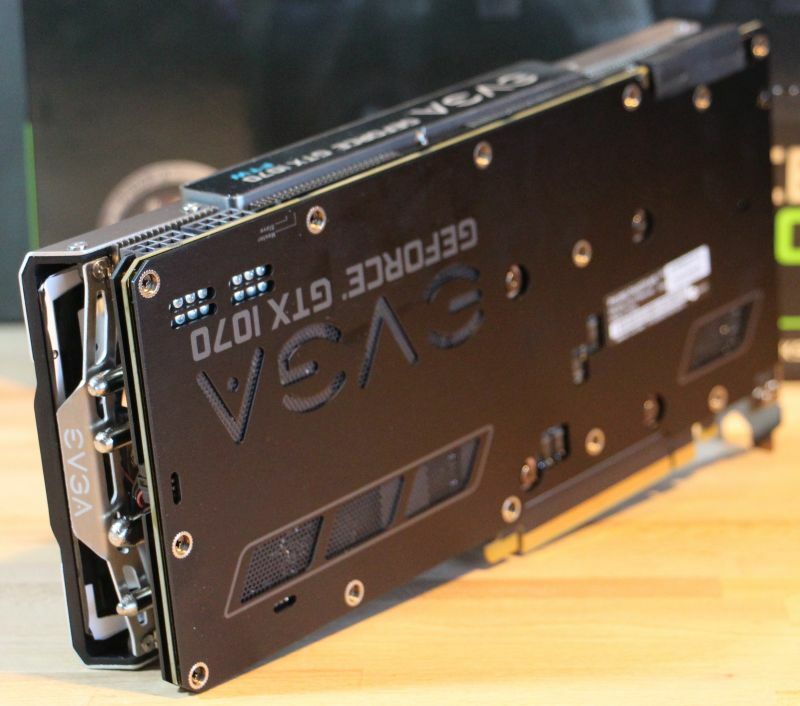 EVGA is back!